Welcome to Party Bus Tampa, and if you're looking for the best luxury transportation provider in the greater Tampa Bay Area, you've come to the right place. When you find yourself in Tampa for business or leisure, you'll find that our party buses offer the most convenient and stylish way of transportation. Don't let traffic, parking spaces, or the quest of finding a designated driver ruin your day or night out in Tampa. With a party bus in Tampa, you're guaranteed to enjoy all that the city has to offer in the most luxurious way possible. 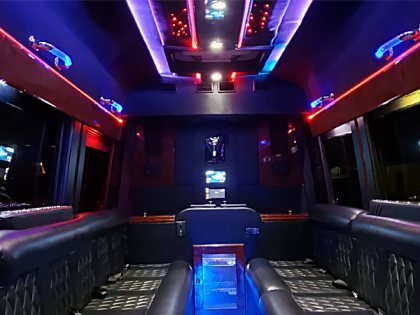 Let Party Bus Tampa show you around Tampa - no matter the event, itinerary or schedule, we're able to accommodate it. PartyBusTampa.com is proud to present the Tampa Bay area with the most modern fleet of buses. Our buses are fully equipped with premium features that include the sought after state-of-the-art audio systems, as well as visual gadgets and convenient bar areas. You'll find that our chauffeurs are highly-trained, and they're happy to provide you with professional and courteous service. With a team of highly trained and knowledgeable chauffeurs, anything is possible! The next time you find yourself in Tampa, you won't have to worry about transportation. Keep in mind that PartyBusTampa.com is here to provide quality transportation service that is guaranteed to meet and even exceed your expectations. That's because we take the time and effort to ensure that our buses are modern, updated with an interior design that can be altered to suit your needs. Our buses are well-maintained, top-of-the-line, and come equipped with the latest gadgets and technology to ensure that your party or transport needs are met - with style and class. 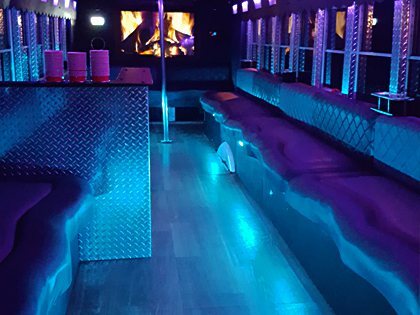 With everything in mind, you certainly can't go wrong with a party bus rental from Party Bus Tampa! Whether you are a group of 30 people or couple wanting to have fun time around Tampa, PartyBusTampa.com is able to provide quality transportation for you. 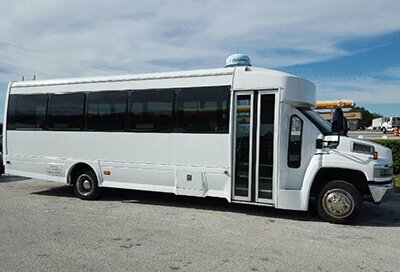 Our Tampa party buses can be used for birthday parties with friends, college outings, family weekend tours, transport for bridal entourage, corporate parties, and even dinner dates. The sky is the limit with a luxury vehicle at your fingertips! Browse through our website to see what PartyBusTampa.com has to offer for you and your friends for your next group transportation outing, even our amazing expanded Orlando Service!. If you aren't in the area, try visiting our affiliate companies such as Miami Party Bus, Detroit Party Bus, Portland Party Bus, and DC Party Bus. They're professional transportation companies who provide the best service in their area in high quality party buses. You can't go wrong with any of these companies! For great information on buying a party bus see our Party Bus for Sale here! A great city to take the kids for entertainment fit for the whole family.. So much to do so little time to spend relaxing on the beautiful beaches.. The new home for Atlanta Braves Spring train games in Sarasota County..
All fields must be completely filled out in order to submit form. Don't worry, if you miss something, our website will let you know! 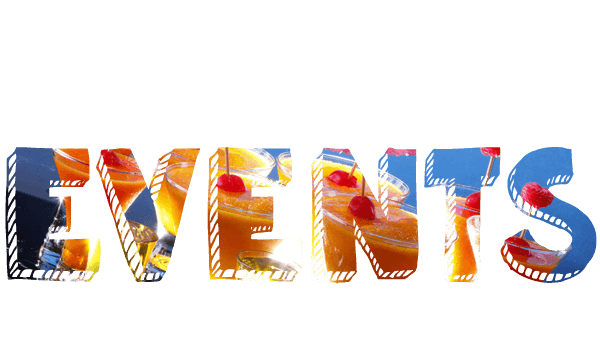 What type of event will you require service for? 2018 © Copyright Party Bus Tampa All rights Reserved.